Are you looking forward to Summer? Need some inexpensive activities for the kids to do to help celebrate the season?? Here are 20 of our family’s favorite Summer activities that have become special traditions — without breaking the bank. 1. 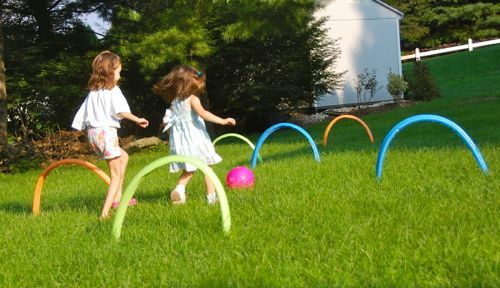 Kick Ball Croquet — Repurpose some old pool noodles to make your own kickball croquet obstacle course for plenty of active outdoor fun! 2. 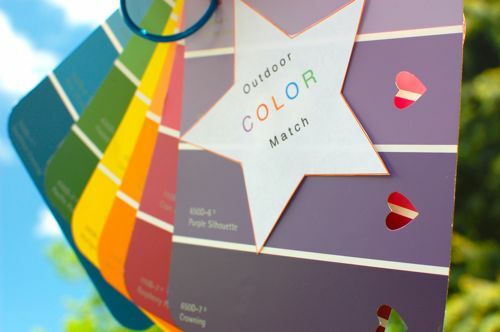 Outdoor Color Match — Going on a color hunt is a simple activity that can be done on-the-go to help take notice of nature’s subtle color differences that might otherwise go unnoticed. 3. 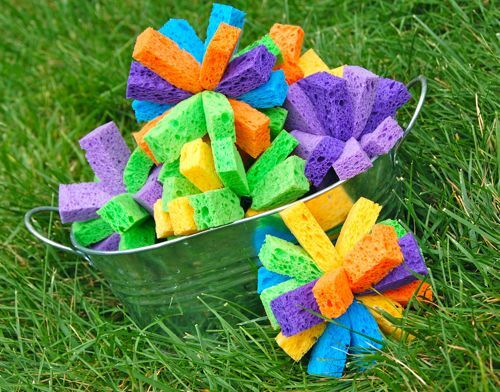 Sponge Bombs — If you are on water restrictions, or are looking for a mess-free alternative to water balloons that can be used over and over again, try making your own sponge bombs! Here’s a short video tutorial explaining how to make them. 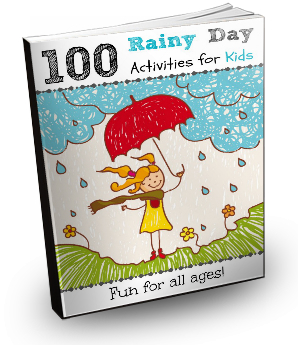 Dunk them in water, and use for a bucket toss game for plenty water play fun! 4. 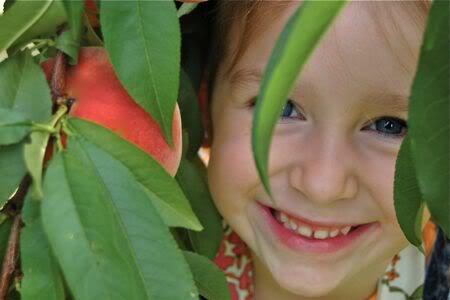 Pick Your Own Fruit — A classic Summer activity, we love to pick peaches and then bribe my husband to make his famous homemade peach ice cream with them! 5. Solar Powered Lunch — Every time we do this activity, the kids think it is almost magical to have their lunch cooked using only the sun’s solar energy. 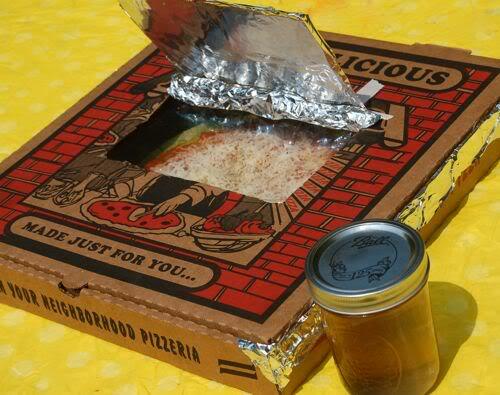 Make pizza, and then s’mores for dessert using a pizza box to make a solar powered oven. — Uses mostly common household items you probably already have on-hand. 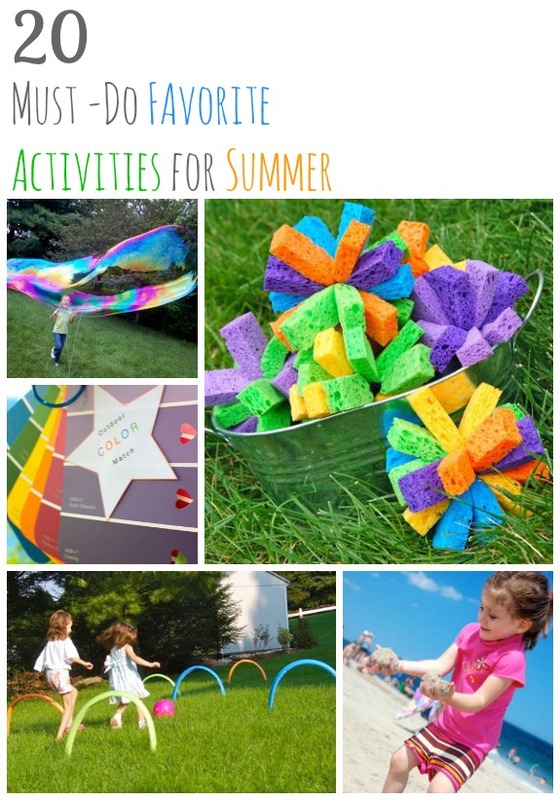 Creative ideas for Summer fun in your own backyard! 6. 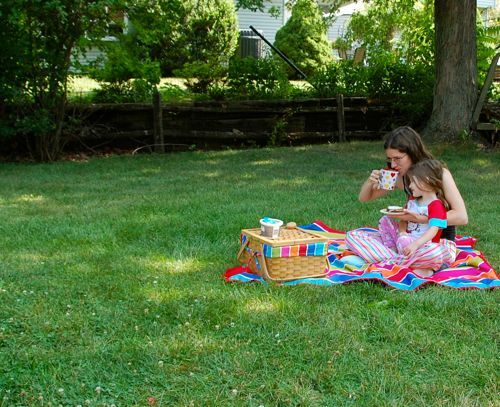 Breakfast Picnic — To get some fresh air outdoors before it gets too hot outside, try a breakfast picnic. Added bonus points for picnicking in pajamas! 7. Mega Bubbles — One of our all-time favorite Summer activities that just never gets old. 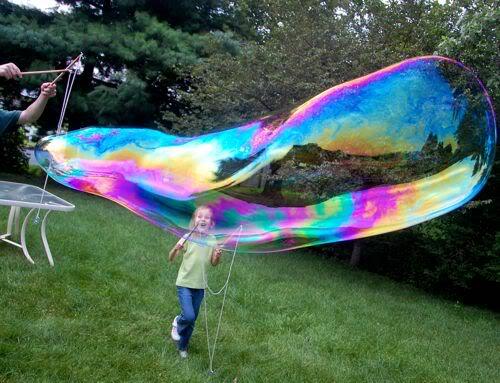 The bubbles are easy to make, and the kids always have such a blast with this! LOTS of smiles!! Here’s a short video showing the bubble making process. 8. 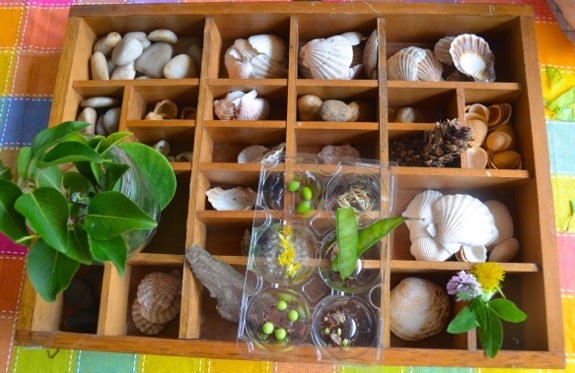 Nature Discovery Lab — Even if you have limited access to the outdoors, most of the items in this nature discovery lab can be found at your local dollar store. Kids can practice sorting and classifying their finds. My kids eventually turned this into an afternoon of pretend play as they mimicked working in a nature museum and preparing samples for exhibits! 9. 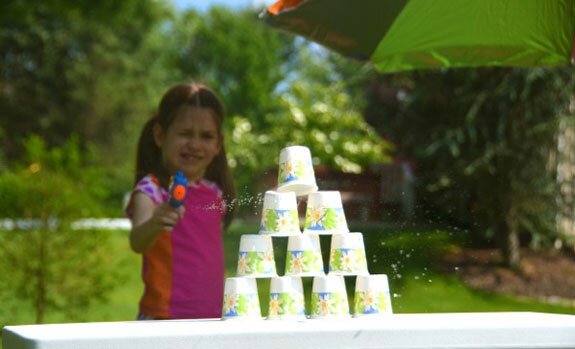 Water Pistol Target Range — All you need are some paper cups, and a water pistol! 10. 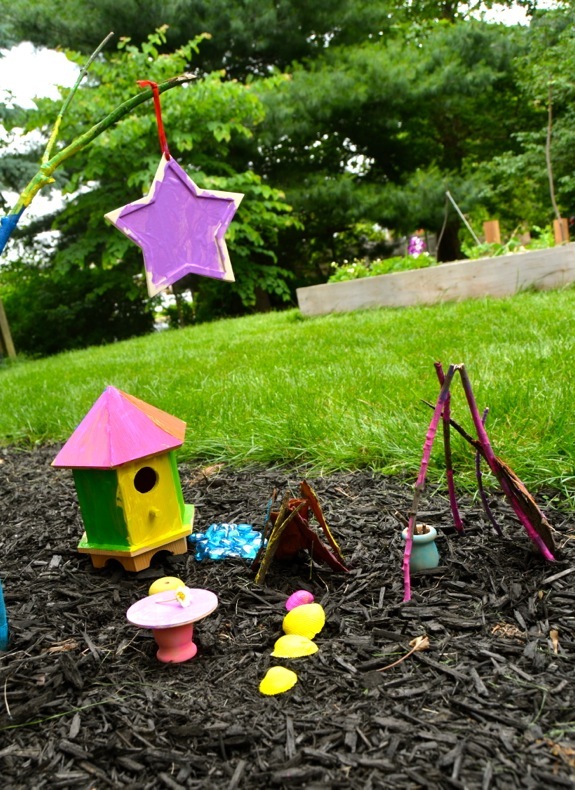 Build a Fairy Garden — Use natural materials that can be found in your own backyard, or inexpensive unfinished wood items from the dollar store to make your own fairy garden and add some whimsy to your outdoor space! 11. Lemonade Stand — My kids look forward to opening their lemonade stand every Summer. 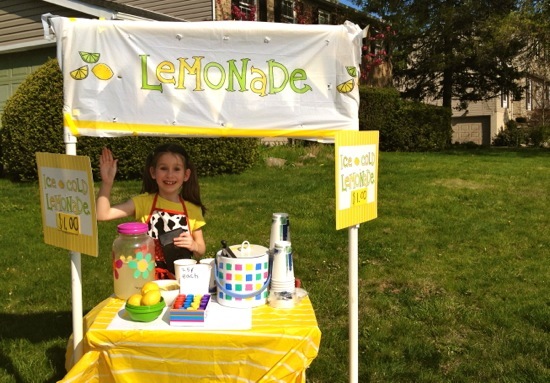 My daughter Emily even shared her top 10 tips for a successful lemonade stand on this guest post she wrote! 12. Sidewalk Chalk Stencils — Do you wait until the last possible moment to decorate for Memorial Day or 4th of July? 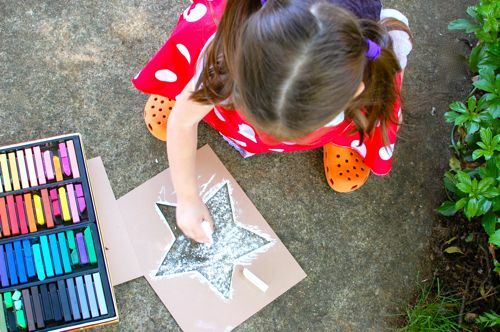 Here’s a very simple way to add some patriotic flair to your sidewalk or driveway using sidewalk chalk star stencils! 13. Geocaching — Up for an exciting adventure? Do you like to explore new places and look for “treasure”? 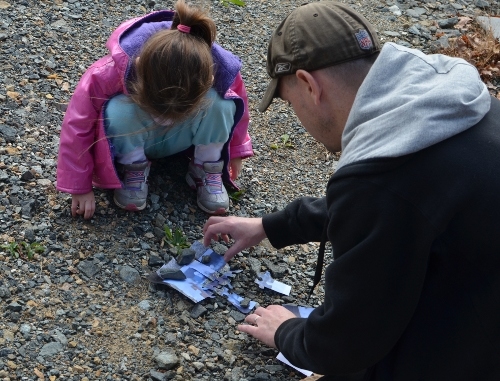 Then you may enjoy geocaching as a family activity. 14. 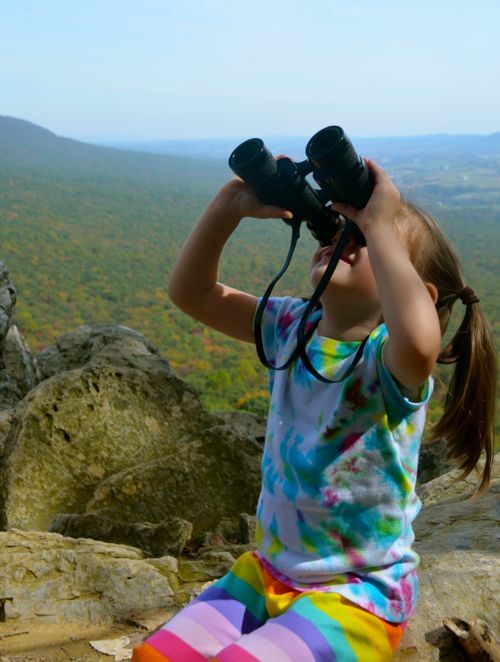 Bird Watching — Grab your binoculars, go for a hike, and try bird watching. Try to identify as many different species of birds as you can! 15. Visit the Beach — If you’re lucky enough to live near a beach, try taking a trip there. 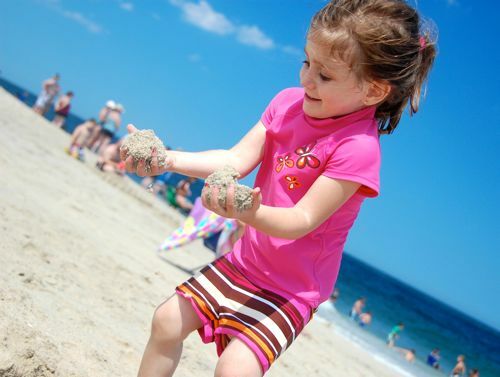 Here are 10 fun-filled play ideas for the beach! 16. 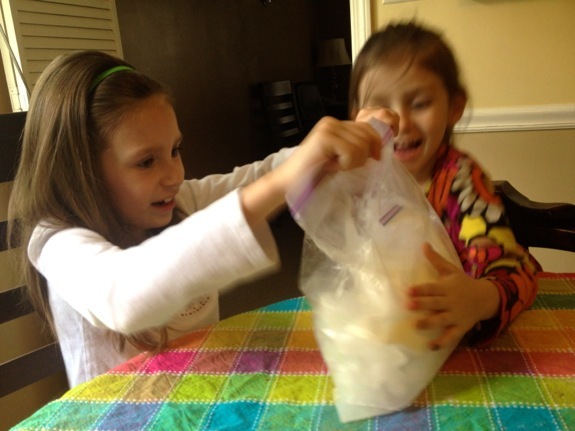 Make Ice Cream in a Bag — My kids could not believe how COLD this was, and the process seemed like magic! Add a few ingredients, shake the bag, and before you know it, you have your own homemade ice cream. Get the full “how to” here, and then get out your gloves because this bag will get cold!! 17. 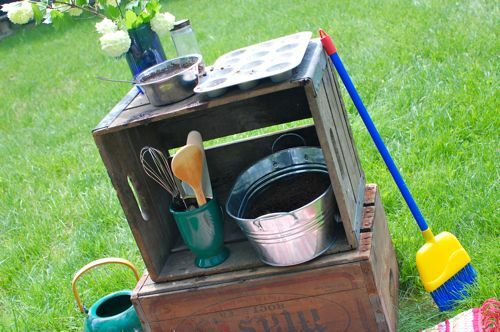 Outdoor Mud Pie Kitchen — Designate a space in the yard especially for mud pie making. 18. 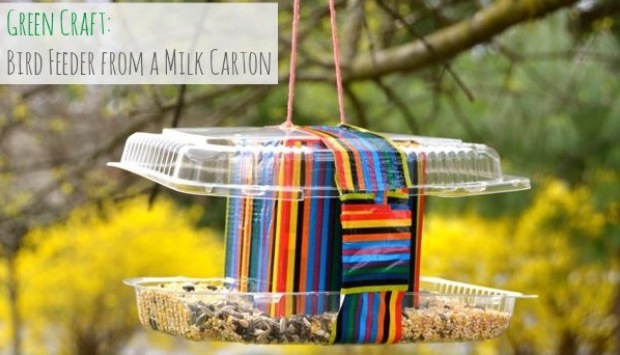 Make Your Own Bird Feeders from Recyclables — I shared a simple bird feeder made from an empty milk carton on the Stonyfield blog. Get the full “how to” here. 19. 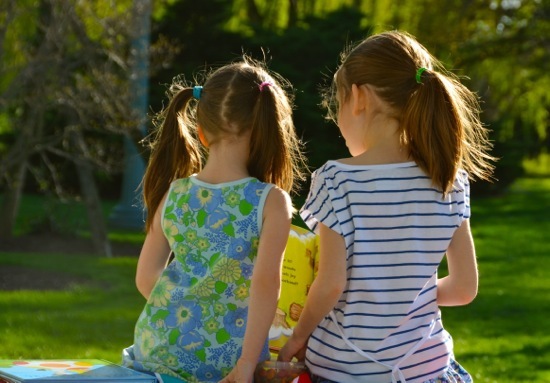 Story Time at the Park — Pack up a picnic blanket and plenty of your favorite story books. Go to the park and read books together! 20. 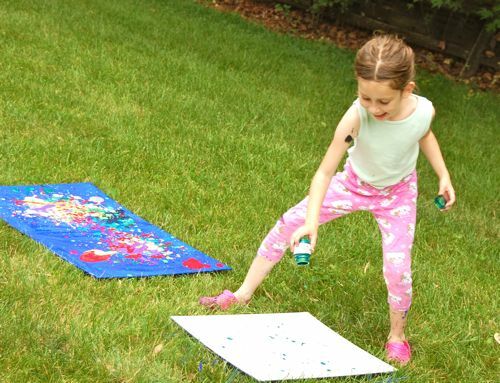 A Day of Messy Art — Dress the kids up in play clothes, and save bottles of almost empty paints for some outdoor splatter painting fun! I am an administrator and a teacher at a coop preschool in colorado. http://www.rwcns.org we are 52 years in existence! just let me know- creative lady! You’re welcome to use one image and link here. Thanks!! These are GREAT ideas. Thanks for the inspiration!